Home / Top 10 / What is the best apps for karaoke of indian songs? What is the best apps for karaoke of indian songs? The Best Part of Being a Human is we can sing, dance, talk to one another no matter which country you are from when the music plays it removes all the barriers you can not refuse to accept, a part of you singing. We all are singers everyone has his or her Favorite likes of dislike. Singing is like losing yourself within the song which makes people vulnerable not everyone like to seem week in public and feel shy and sing with all the doors and windows closed no matter what we sing or how we sing we are the rock star of our own world. 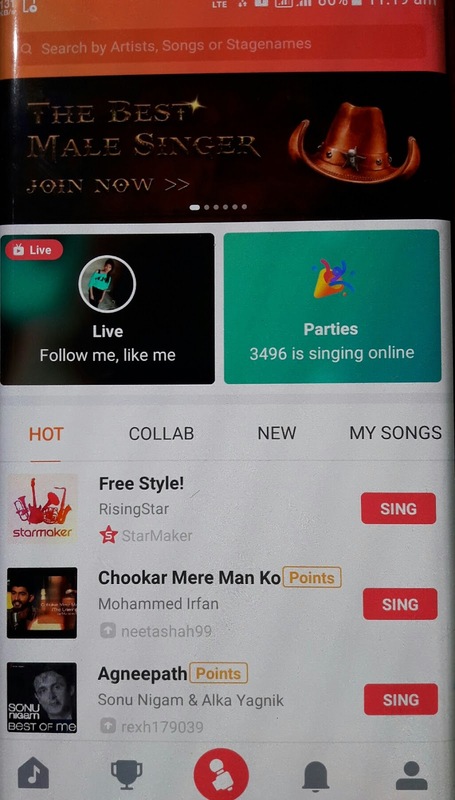 Today I am going to tell you about some best karaoke app for Indian song. For those of you who don't know about karaoke. Karaoke( A form of entertainment, offering typically by bars and club, in which people take turns to sing popular songs into a microphone over pre-recorded backing tracks ) is a background music of the original song with the written lyrics on it so that it could be sung by different people in their voice these apps do the same these . The app mix your vocal voice with the background music making you a professional singer.